The weather has been relatively cloudy, warm and dry. We found less debris in the water but saw several large tidal eddies and suspended sediment plumes. Jellyfish continue to go strong this winter. We also observed early algae blooms in Hood Canal and Eld Inlet as well as multiple oil sheens in Seattle waterways. Listen to our marine flight technician discuss EOPS on the radio. Description The weather has been relatively cloudy, warm and dry. We found less debris in the water but saw several large tidal eddies and suspended sediment plumes. Jellyfish continue to go strong this winter. 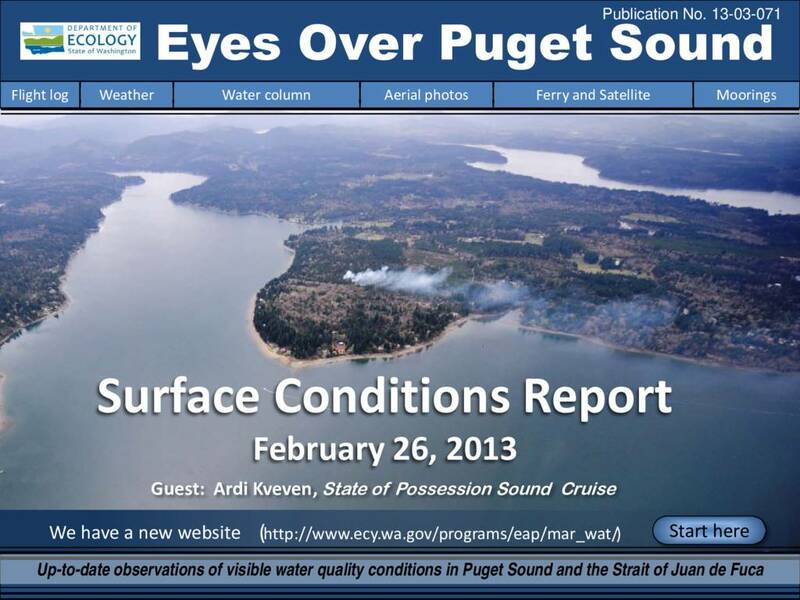 We also observed early algae blooms in Hood Canal and Eld Inlet as well as multiple oil sheens in Seattle waterways. Listen to our marine flight technician discuss EOPS on the radio.